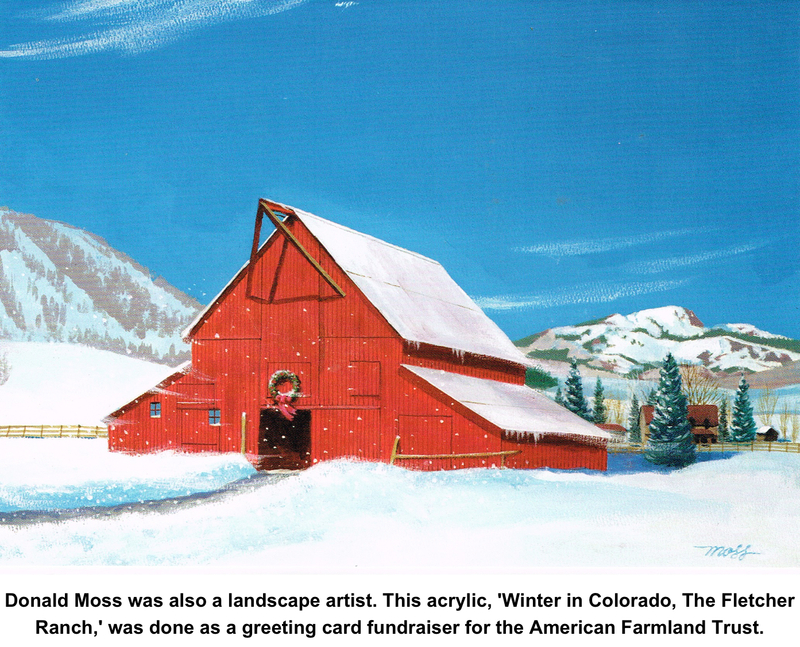 Donald Moss was one of the leading artists of the world of sports in the last half of the 20th Century. 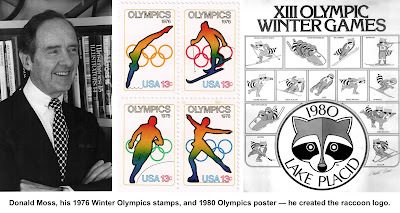 Moss painted hundreds of covers and inside illustrations for Sports Illustrated, produced scores of posters of athletes, golf courses, ski slopes, and other sporting themes, and designed more than a dozen U.S. postage stamps, including the 1976 Olympics set. His paintings are in all the major sports halls of fame, the Society of Illustrators Museum, the National Art Museum of Sport, the U.S. Sports Academy, the U.S. Air Force Art Collection, and the U.S. Marine Corps Museum. Born in 1920 in Somerville, Mass. Donald Francis Moss was attending art school when World War II broke out. He joined the U.S. Marine Corps and with the 1st Marine Division, landed at Guadalcanal in August 1942, fighting through that campaign. He eventually serving four years. After the war, he attended Pratt Institute in New York, where he met his wife, Virginia “Sally” Hardesty Moss. He started out painting for various ad agencies, along with Good Housekeeping, Collier's, and Esquire magazines, but soon began focusing on sports. 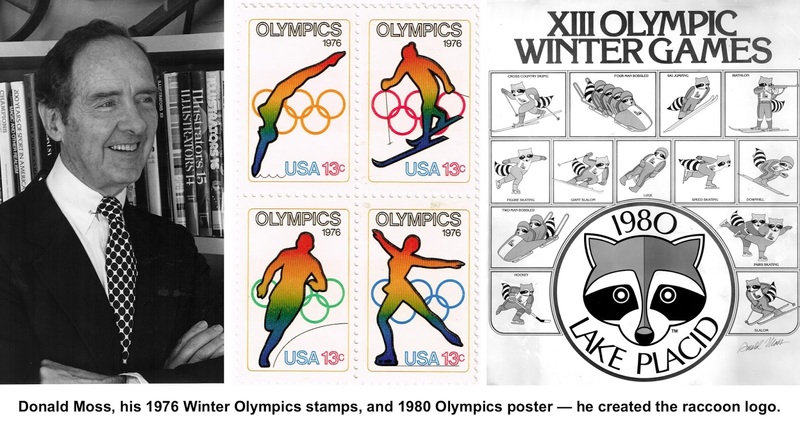 He produced Super Bowl posters, the Best 18 Golf Holes in America, and countless logos — including the art for the 1980 Lake Placid Olympics raccoon mascot. One of his more unusual series of posters involved aerial views of golf courses and downhill ski runs. “I usually fly over each course, take hundreds of aerial photographs, and translate these in the studio to very tight 24-by-36-inch aerial paintings,” he told The Press in 1996 about his golf course series. Moss designed a dozen U.S. postage stamps for the U.S. Postal Service and 48 First Day Cover envelope cachets. He painted the signature illustrations for many major sports events, such as the New York City Marathon and the U.S. Tennis Open at Forest Hills. His paintings of Ted Williams and Jack Nicklaus are included in Champions of American Sport, published by the Smithsonian Institution, and others hang in the collections of museums and the American Sports Halls of Fame. His painting of football star and coach Don Shula is in the Smithsonian’s National Portrait Gallery. Moss was an author: He wrote “How to Paint Watercolor,” published by Grumbacher in 1968. A hockey player as a boy, Moss was a lifelong skier and tennis player, and an avid golf, football, hockey, and baseball fan. He lived on Peaceable Street for 23 years before moving to Farmington in 1999. During his years here, he often contributed his works to various local non-profits’ fundraising efforts. He died in 2010 at the age of 90.